As performed in the fabulous Trans-Siberian Orchestra live concert, experience "Trepak" from The Nutcracker as you never have before. 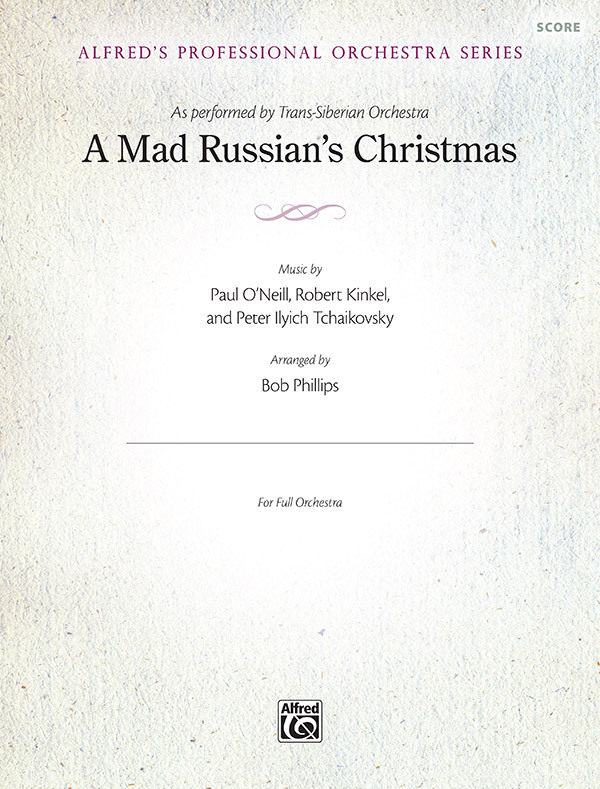 This arrangement by Bob Phillips includes parts appropriate for a community or professional symphony orchestra. The bowings are those that would be expected by professional players. The rock rhythm section contributes to an intense and very hip musical experience. Optional parts for electric guitar or electric violin can be used to add interest to the performance. If unfamiliar with TSO, check them out online. Educator and bulk pricing available. Contact us for a quote.